Pat Daly, 75, Irish football player. Joe Foss, 87, American politician, fighter pilot, recipient of the Medal of Honor. Giorgio Gaber, 63, Italian singer-songwriter and playwright. Pat Daly, also known as Paddy Daly was a former Irish football player who played as a centre half. Joseph Jacob Foss was a United States Marine Corps major and the leading Marine fighter ace in World War II. 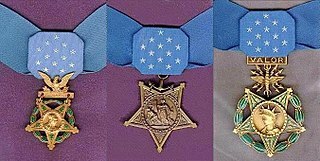 He received the Medal of Honor in recognition of his role in air combat during the Guadalcanal Campaign. In postwar years, he was an Air National Guard brigadier general, served as the 20th Governor of South Dakota (1955–1959), President of the National Rifle Association, and first commissioner of the American Football League. He also was a television broadcaster. Peter Harris, 77, British footballer. Sydney Omarr, 76, American astrologer and newspaper columnist, heart attack. Sir Bill Shelton, 73, British politician. Peter Philip Harris was a footballer who played for Portsmouth in the 1940s and 1950s. Arthur Beauregard “Bud” Metheny, was an American baseball player and coach. He played professional baseball for the New York Yankees (1943–46) and served Old Dominion University for 32 years as head baseball coach, head basketball coach and athletic director. Sir James Eyre, 72, British army general. Sid Gillman, 91, American football coach (San Diego Chargers) and member of the Pro Football Hall of Fame. George Makgill, 13th Viscount of Oxfuird, 68, British aristocrat and politician. Claude Wharton, 88, Australian politician. Major General Sir James Ainsworth Campden Gabriel Eyre, was a senior British Army officer, who served as Major-General Commanding the Household Division and General Officer Commanding London District from 1983 until his retirement in 1986. Raymond Aker, 82, American scholar and authority on Francis Drake. Conrad Hall, 76, American cinematographer ( American Beauty , Cool Hand Luke , Road to Perdition ). Yfrah Neaman, 79, Lebanese-born British violinist and teacher. Louis Spector, 84, American judge. Raymond Aker was a U.S. historian who was noted as an authority on the voyages of Francis Drake in the late 16th century. Aker served as president of the Drake Navigators Guild in California, which promotes Drake and his explorations. It was the work of Aker that helped ensure that Drake received credit for the discovery of Cape Horn, at the southern tip of South America. Conrad "Connie" Lafcadio Hall, ASC was an American cinematographer from Papeete, Tahiti, French Polynesia. Named after writers Joseph Conrad and Lafcadio Hearn, he was best known for photographing such films as In Cold Blood, Cool Hand Luke, Butch Cassidy and the Sundance Kid, American Beauty, and Road to Perdition. For his work he garnered a number of awards, including three Academy Awards and BAFTA Awards. King Biscuit Boy, 58, Canadian blues musician. Massimo Girotti, 84, Italian film actor, heart attack. Roy Jenkins, 82, British politician and biographer. Jean Kerr, 80, American author and playwright, pneumonia. Daphne Oram, 77, British composer and musician. Ray Scott, 75, Australian football player and umpire. Richard Alfred Newell, better known by his stage name, King Biscuit Boy, was a Canadian blues musician. He was the first Canadian blues artist to chart on the Billboard Hot 100 in the U.S. Newell played guitar and sang, but he was most noted for his harmonica playing. Newell's stage name, given to him by Ronnie Hawkins, was taken from the King Biscuit Time, an early American blues broadcast. Massimo Girotti was an Italian film actor whose career spanned seven decades. Roy Harris Jenkins, Baron Jenkins of Hillhead, was a British Labour Party, SDP and Liberal Democrat politician, and biographer of British political leaders. Sir Gerald Cash, 85, Governor-General of the Bahamas. Glyn Davies, 83, Welsh economist. Sir Philip Ward, 78, British army general. Ken Biddulph, 70, British cricketer. Montagu Dawson, 83, British World War II bombardier. Edith Hirsch, 103, German-born American economist. Gordon Kidd Teal, 95, American electrical engineer. Simeon Aké, 71, Ivorian politician. Ron Goodwin, 77, British film music composer and conductor. Patrick Pery, 6th Earl of Limerick, 72, Irish aristocrat and public servant. Elizabeth Irving, 98, British actress. Peter Tinniswood, 66, British writer. Knut Albrigt Andersen, 70, Norwegian pianist. C. Douglas Dillon, 93, American diplomat and politician. Jorge "Lobito" Martínez, 50, Paraguan musician, murdered. Donald Nestor, 64, British suffragan bishop in Lesotho. O. Arthur Stiennon, 83, American clinical radiologist and radiation treatment pioneer. Alex Weir, 86, Scottish football player and manager. Ruth Feldman, 91, American poet and translator. Mickey Finn, 55, band member of T. Rex. Sir Anthony Havelock-Allan, 98, British producer and screenwriter. Maurice Pialat, 77, French movie director. Jack Douglas, 72, Canadian Olympic ice hockey player. Leopoldo Fortunato Galtieri, 76, former dictator of Argentina. Maurice Gibb, 53, British band member of Bee Gees. Alan Nunn May, 91, British physicist and spy. Paul Pender, 72, American boxer. Andreas Holm, 96, Norwegian politician. Norman Panama, 88, screenwriter and director. Koloman Sokol, 100, Slovak artist. Mirza Babayev, 89, Azerbaijani actor and singer. Mel Bourne, 79, American set designer and art director ( Annie Hall , Fatal Attraction , Manhunter ). Alan Edwards, 77, Australian actor. Monica Furlong, 72, British author, journalist, and activist. Earl Lawson, 79, American sportswriter, cancer. Paul Monash, 85, American television and film producer and screenwriter, pancreatic cancer. Sujit Mukherjee, 72, Indian writer, literary critic and publisher. Johnny Ritchey, 80, American baseball player. Robert John Braidwood, 95, American archaeologist and anthropologist. Linda Braidwood, 93, American archaeologist and pre-historian. Jeannette Campbell, 86, French-born Argentinian Olympic swimmer. Frank Drea, 69, Canadian journalist, broadcaster, and politician, pneumonia. Doris Fisher, 87, American singer and songwriter. Vivi-Anne Hultén, 91, Swedish figure skater, heart failure. Russell Pepperell, 84, English rugby player. Eleanore Pettersen, 86, American architect. John Harry Robertson, British crystallographer. Hans Pietsch, 34, German professional Go player. Alfred Kantor, 79, Czech-born Holocaust survivor, artist and author of The Book of Alfred Kantor. Alden G. Barber, 83, American Scouter. Hylo Brown, 80, American bluegrass and country musician. Fritzi Burr, 78, American actress. Richard Crenna, 74, American actor ( First Blood, Summer Rental , The Real McCoys ), heart failure. Herbert Crüger, 91, German communist and political activist. George Haimsohn, 77, American writer and photographer. Harivansh Rai Bachchan, 95, Indian poet. Ed Farhat, 76, Lebanese-American wrestler, dheart failure. Virginia Heinlein, 86, American chemist, biochemist and engineer. Gavin Lyall, 70, English author of espionage thrillers, cancer. Renée Short, 83, British Labour Party politician. Boris Struminsky, 63, Russian and Ukrainian physicist. Milton Flores, 28, Honduran football player, killed by automatic weapons fire. Eric Frodsham, 79, English rugby league footballer. Françoise Giroud, 86, French journalist, screenwriter, writer and politician. Joy Hodges, 87, American singer and actress. Morris Kight, 83, American gay rights pioneer and peace activist. Russell A. Rourke, 71, American lawyer and public official. David Battley, 67, British actor ( Willy Wonka & the Chocolate Factory , Krull , Relative Strangers ), heart attack. Sir Stanley Fingland, 83, British diplomat. Al Hirschfeld, 99, American caricaturist. Marcel Jovine, 81, Italian-born American sculptor. Bill Werbeniuk, 56, Canadian snooker player. Tony O'Malley, 89, Irish artist and painter. William Cronk Elmore, 93, American physicist, educator, and author. Paul Kuusberg, 86, Estonian writer. Obert Logan, 61, American football player, colon cancer. Antonio Domínguez Ortiz, 93, Spanish historian. Khin Hnin Yu, 77, Burmese writer. George Aitken, 77, Scottish footballer. Peter Russell, 81, British poet. Tan Qilong, 90, Chinese politician, head of four provinces. Nell Carter, 54, singer, actress ( Gimme a Break! , Hangin' with Mr. Cooper , The Grass Harp ). John Clarke, 57, Canadian mountaineer. David Moore, 75, Australian photojournalist. Gianni Agnelli, 81, Italian entrepreneur and president of Fiat. Lucien Blackwell, 71, United States Congressman. Sir Ivor Broom, 82, British air marshal and bomber pilot during WWII. Ingeborg Kattinger, 92, Austrian chess player. Bobbi Trout, 97, American pioneer aviator,. Sidney Hatfield, 73, American baseball player. Scylla Médici, 95, Brazilian First Lady. Samuel Weems, 66, American writer and disbarred lawyer. John Browning, 69, American pianist. Valeriy Brumel, 60, Soviet athlete, track and field. Annemarie Schimmel, 80, German orientalist. Maurice Ash, 85, British environmentalist and writer. Lord Dacre of Glanton, 89, British historian, authenticator of the hoaxed Hitler Diaries. Emília Rotter, 96, Hungarian figure skater. Edward Preston Young, 89, British submariner and publisher. George Dews, 81, English cricketer. László Kákosy, 70, Hungarian Egyptologist, member of the Hungarian Academy of Sciences. Sir Alan Walker, 91, Australian theologian. Paul-André Meyer, 68, French mathematician. Julie Alexander, 64, British model and actress, Alzheimer's disease. Horace Hahn, 87, American actor. Peter Guy Ottewill, 87, British World War II RAF officer. Meka Rangaiah Appa Rao, 87, Indin Raja freedom activist. ↑ Aaron, Marc Z. "Bud Metheny". Society for American Baseball Research . Retrieved 2019-02-19. ↑ "Joe Ostrowski". Baseball-Reference.com . Retrieved 2019-02-19. ↑ "Jim Westlake". Baseball-Reference.com . Retrieved 2019-02-19. ↑ "Jarvis Tatum". Baseball-Reference.com . Retrieved 2019-02-19. ↑ "Ed Albosta". Baseball-Reference.com . Retrieved 2019-02-19. ↑ "Don Landrum". Baseball-Reference.com . Retrieved 2019-02-19. ↑ The Associated Press (2003-01-15). "Richard W. Simmons, 89, Actor; Starred in TV's 'Sergeant Preston'". The New York Times . Retrieved 2019-01-10. ↑ "Ernie Rudolph". Baseball-Reference.com . Retrieved 2019-02-19. ↑ Zerby, Jack. "Phil McCullough". Society for American Baseball Research . Retrieved 2019-02-19. ↑ "Dutch Meyer". Baseball-Reference.com . Retrieved 2019-02-19. ↑ Severo, Richard (2003-01-23). "Bill Mauldin, Cartoonist Who Showed World War II Through G.I. Eyes, Dies at 81". The New York Times . Retrieved 2019-01-10. ↑ "Toby Atwell". Baseball-Reference.com . Retrieved 2019-02-19. ↑ Burton, Humphrey (2003-02-06). "Lady Menuhin: Gifted dancer who complemented the life of her brilliant husband". The Guardian . Retrieved 2019-01-10. ↑ "Robert Rockwell, 82; Played Elusive Catch for 'Our Miss Brooks'". Los Angeles Times . 2003-01-28. Retrieved 2019-01-10. ↑ Roth, Andrew (2003-01-26). "Lord Younger: Classic old-time Tory paternalist". The Guardian . Retrieved 2019-01-10. ↑ "Bob Kammeyer". Baseball-Reference.com . Retrieved 2019-02-19. ↑ Saxon, Wolfgang (2003-01-30). "John Thompson, 77, Leader Of Big Expansion of 7-Eleven". The New York Times . Retrieved 2019-01-10. ↑ The Associated Press (2003-01-31). "Frank Moss, 91, Democratic Utah Senator". The New York Times . Retrieved 2019-01-10. ↑ "Peter Shaw, TV Producer And Agent, 84". The New York Times . 2003-02-06. Retrieved 2019-01-10. ↑ Martin, Douglas (2003-02-01). "Mary Ellis, London Star of Stage and Screen, Is Dead at 105". The New York Times . Retrieved 2019-01-10. ↑ Walsh, Mary Williams (2003-02-10). "John Westergaard, 72, Dies; Founder of Mutual Fund". The New York Times . Retrieved 2019-01-10.